Wales head coach Warren Gatland has named a team with two changes for the second Test in in Wellington with Rhys Patchell and Luke Charteris coming into the starting side. 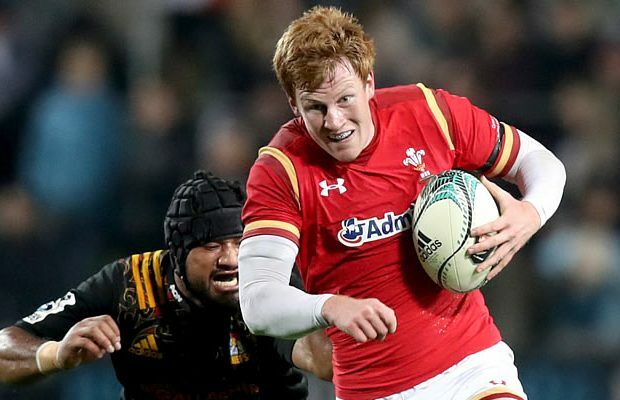 Twenty-three-year-old Patchell comes into the side at fullback which pushes Liam Williams to the wing which is the only change to the backline that played on Saturday. Hallam Amos completes the back-three alongside Williams and Patchell whilst Jamie Roberts and Jonathan Davies continue in the midfield and the Ospreys partnership of Rhys Webb and Dan Biggar are named at half-back. Charteris is the only change in the forward pack as he comes in alongside Alun Wyn Jones in the second-row. Gethin Jenkins, Ken Owens and Samson Lee make up the front-row with Ross Moriarty, Sam Warburton and Taulupe Faletau completing an unchanged back-row. “It is important we go out on Saturday with the confidence to play for 80 minutes in what will be another huge test match,” said Warren Gatland. “We kept the ball and played well for periods of the first test and we need to convert that to the full eighty. On the bench Scott Baldwin, Rob Evans and Tomas Francis provide the front –row cover with Bradley Davies and Ellis Jenkins completing the forwards. Gareth Davies, Rhys Priestland and Scott Williams are named as the backline cover. Rhys Patchell (Cardiff Blues), Liam Williams (Scarlets), Jonathan Davies (Clermont Auvergne), Jamie Roberts (Harlequins), Hallam Amos (Newport Gwent Dragons), Dan Biggar (Ospreys), Rhys Webb (Ospreys), Gethin Jenkins (Cardiff Blues), Ken Owens (Scarlets), Samson Lee (Scarlets), Luke Charteris (Racing 92), Alun Wyn Jones (Ospreys), Ross Moriarty (Gloucester), Sam Warburton (Cardiff Blues, CAPT), Taulupe Faletau (Newport Gwent Dragons). Replacements: Scott Baldwin (Ospreys), Rob Evans (Scarlets), Tomas Francis (Exeter Chiefs), Bradley Davies (Wasps), Ellis Jenkins (Cardiff Blues), Gareth Davies (Scarlets), Rhys Priestland (Bath Rugby), Scott Williams (Scarlets).